Winter Music Conference, which was purchased by Ultra Worldwide in March of this year, has announced its plan for a relaunch and return in 2019. Returning to Miami Beach from March 25 through 28, 2019's WMC will mark the first fully programmed event under the umbrella of Ultra Worldwide with a fresh approach to the typically industry-focused event. This year, WMC will be presented in two distinct parts: a more exclusive, by invitation or application only "Industry" segment targeted towards industry professionals and an additional open-to-the-public "Access" segment meant for curious music consumers looking to learn more about the music industry aspects of the business. 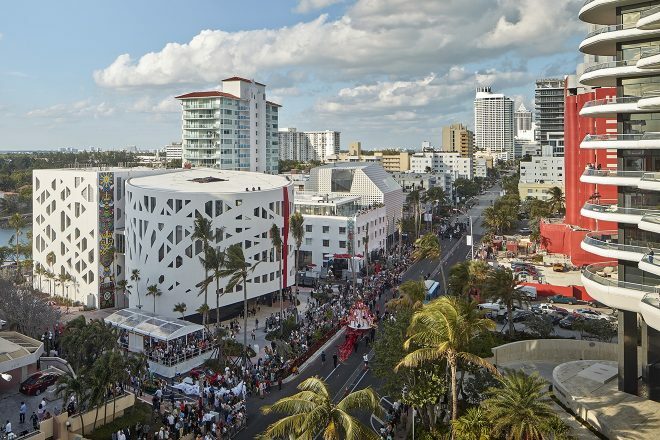 In addition, WMC will also relocate to the Faena District and specifically to The Faena, which will be WMC's new exclusive partner hotel. For over three decades, the electronic music industry was established and beckoned annually to Miami in March for Winter Music Conference for discussions and meetings in the form of panels, mixers and varied programming. WMC cultivated a progressive culture around electronic music, allowing Ultra Music Festival to come to life and eventually flourish. In more recent years, however, WMC's presence dwindled. 2019's upcoming refresh will breathe new life into the cherished conference that has existed since 1985. "For decades, the electronic music industry ran through WMC," Russell Faibisch, Ultra Co-Founder, Chairman and CEO says in a press release. "It was where the mega deals were done and provided a launching point for countless legendary tracks as well as breakthrough DJs. In March 2019, WMC returns with a fully revamped program that gets the industry back to business." Beyond WMC's revival, 2019 will mark a big year of change for Miami, as Ultra Music Festival has been forced to move from its traditional Bayfront Park location.